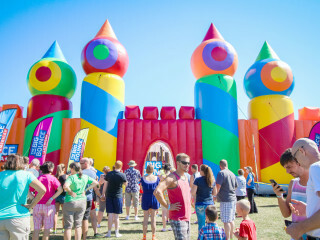 Featuring the world’s largest bounce house, The Big Bounce America tour is the largest touring inflatable event in the entire world. The Big Bounce America introduces two brand new attractions: a 900+ foot long obstacle course and a unique, space-themed wonderland. The world’s largest bounce house, the featured attraction on the tour, is the planet’s preeminent bounce castle. It includes a basketball court, giant slide, and a massive ball pit. At the center of the fun is a world-class DJ playing a carefully selected soundtrack with nightclub quality sound and lights. Making its 2019 tour debut, The Giant is a 900+ foot long inflatable obstacle course that is ready for aspiring ninja warriors. Designed with all ages in mind, The Giant has age-appropriate challenges at every turn. Additionally, guests will be able to enjoy the brand new: airSPACE. 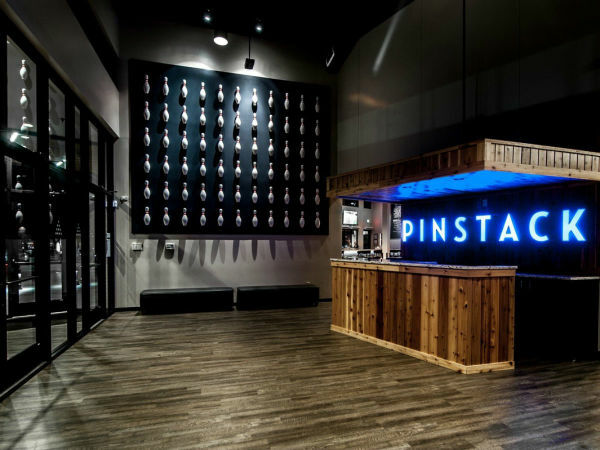 This 25-foot-tall space-themed spectacle includes a five-person slide and a 50-foot-wide play space for younger bouncers. The inflatable is filled with friendly aliens, spaceships, giant planets, moon craters, and more.